Four cars come to a four way stop, all coming from a different direction. They can't decide who got there first, so they all go forward at the same time. They do not crash into each other, but all four cars go. How is this possible? They all made right-hand turns. 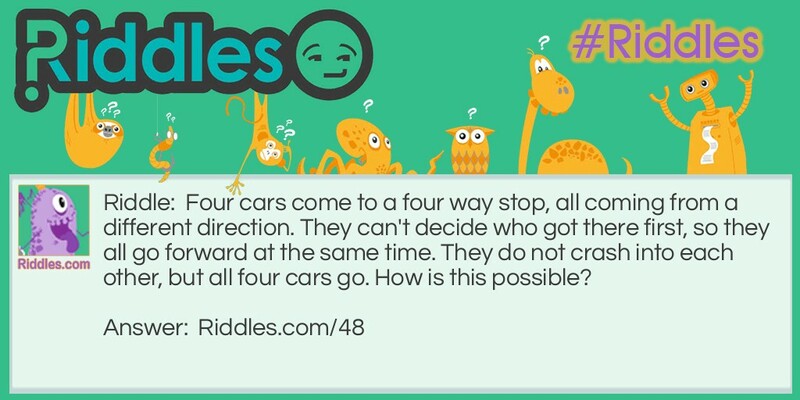 Car Collisions Riddle Meme with riddle and answer page link.